Yakov Khalip (1908-1980) was born into a theatrical family in St. Petersburg. From 1921 he lived in Moscow. After leaving school he attended the State Institute for Cinematography. During his studies he worked in the film showroom of the State Academy of the Arts, and also began to take photographs. Between 1925 and 1927 his inspiration was the work of such well-known photographers as Rodchenko, Shaikhet, Fridlyand and Alpert. He learnt a lot from them and during this time was already publishing his own pictures. In 1926, his photograph "Moscow Embankment at Night" was published in Ogonyok and in 1928 he particpates in the important exhibition "10 Years of Soviet Photography" where he receives a diploma paper for his series of portraits of Soviet actors. At the same period, in 1929, Khalip gained his diploma as a cameraman and worked as a camera assistant and photographer in film studios (until 1931). After 1931 he devoted himself entirely to photography. 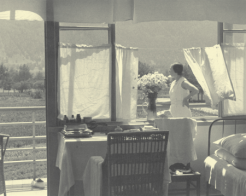 His photographs were reproduced in such magazines like Kino i Zhizn (Cinema and Life), Soviet Photo, and Krasnaya Niva. 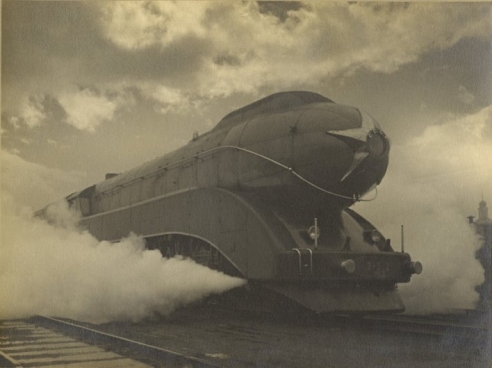 He took photographs for the Soyuzfoto agency, newspaper Pravda, and for the biggest illustrated magazine USSR in Construction, where he worked alongside with Alexander Rodchenko, Arkady Shaikhet, Max Alpert and other masters. Belonging to one of the younger generation of Soviet photo reporters, Khalip, soon developed the characteristics of Soviet photojournalism of the period, turning in striking reports on social changes in the nation and expressing a committed interest through his photographs. His work for the USSR in Construction launched a long-term collaboration and friendship with Rodchenko, who Khalip considered his teacher. 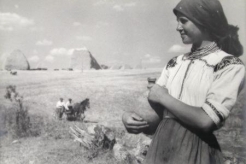 Rodchenko praised Khalip's work, appreciating its aesthetics and powerful compositions, often with a bold perspective. 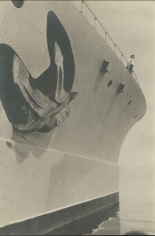 During 1935 and 1936, Khalip actively photographed Baltic Fleet producing famous images like "On Guard. Big Gun," "Battleship Marat," "Torpedo Gunner" and "Smoke Screen." 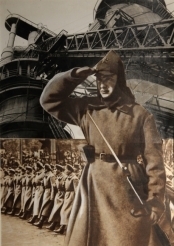 His photographs of Baltic Fleet were used by Rodchenko and Stepanova for the Album 20 Years of RKKA (The Worker's and Peasants' Red Army), designed by A. Rodchenko and V. Stepanova for the 20th Anniversary of the Red Army. The Album was published by Izogiz in 1938. 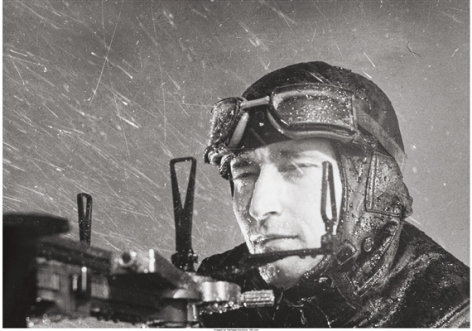 Also, in 1938 Khalip took part in a rescue expedition to the North Pole as photographer, to take pictures of “North Pole 1,” a research station led by Ivan Papanin, which was drifting on an ice-floe. He produced an impressive series of pictures, which were well received in the press, and was awarded a medal for his participation in the expedition. 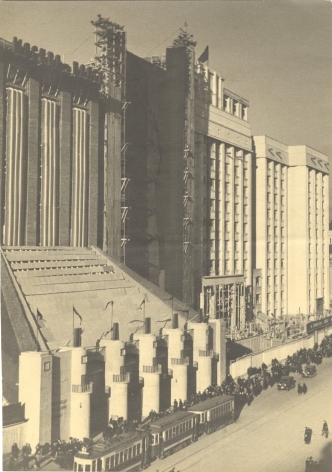 From 1938 to 1941, he continued to work for USSR in Construction. He undertook many journeys throughout the Soviet Union, reporting on the life of the nation. 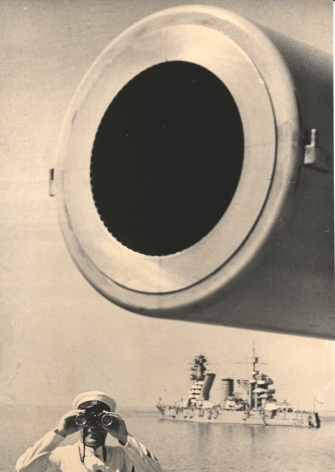 His pictures of the Soviet fleet were particularly successful. In 1941, he became an editor at Soviet Photomagazine, but with the break out of WW II the magazine closed. During WWII (from 1941-1944) Khalip was a front-line correspondent for the newspaper Krasnaya Zvezda. From 1944 to 1946, he worked for the Soviet Information office. His war photographs were a significant contribution to the heritage of Soviet press photography. After the war Khalip could not find employment (because of a policy against cosmpolitanism) and free lanced for the magazines Ogonyok and Smena, and from 1954, after Stalin's death, he resumed work for the magazine Sovetsky Soyuz (former USSR in Construction), which was published in many countries. Khalip traveled a lot throught the country and later during the thaw period who was able to travel abroad. After the war, there were exhibitions of Khalip’s work in Moscow in 1967 and 1968, in Czechoslovakia in 1963, 1965, and 1967, in Helsinki in 1975, and in London in 1960. He has been awarded high State decorations.